Fans of Jaco Pastorius, the wickedest bass player of all time, are in for some real treats next month. Legacy Recordings, the catalog division of Sony Music Entertainment, announced today that it will release a collection of music titled JACO: Original Soundtrack on November 27, aka Record Store Day Black Friday 2015. 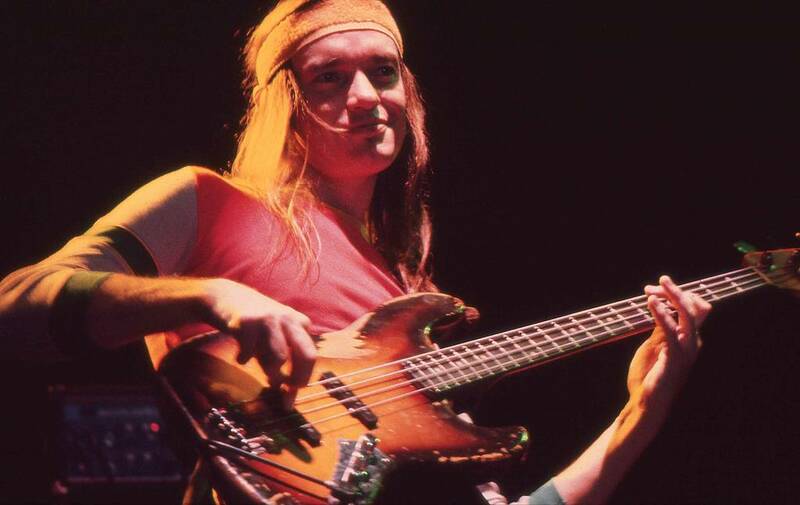 Produced by Metallica bassist (and Jaco freak) Robert Trujillo and Pastorius’s eldest son, John Pastorius IV, J:OS features 16 tracks, including Jaco Pastorius solo tracks, Weather Report tunes, and musical collaborations with Joni Mitchell, Ian Hunter, and Herbie Hancock. among others. But the big news is that the disc will include three brand-new recordings, including interpretations of Pastorius’s “Come On Come Over” by Mass Mental–featuring Trujillo, Armand Sabal-Lecco, Flea, Whit Crane, Benji Webbe, and Stephen Perkins & C-Minus–and “Continuum” by Rodrigo y Gabriel. The other new track, “Shine”, by Tech N9ne, contains a sample of “Kuru,” as recorded by Jaco Pastorius. All this good stuff hits your ears the same day as the documentary film JACO hits stores on DVD and Blu-ray, and becomes available via VOD, streaming services, and digital download. I never knew Pastorius’s monster talent from his work with Weather Report or his solo albums. I accidently came across his virtuoso bass licks while following the career of my idol Ian Hunter, who had Jaco play bass on his All American Alien Boy LP back in ’76. Over the years Pastorius’s name would come up often when I interviewed great musicians and asked them about their influences. Back in 1991 bassist Stu Hamm told me that seeing Pastorius changed his life. Pastorius, who was diagnosed with bipolar disorder in 1982 and spent time broke and living on the streets of New York and Fort Lauderdale in 1986 and ’87, passed away on September 21, 1987, at the age of 35. He died after falling into a coma brought on by the injuries he sustained 10 days earlier from a fierce bouncer’s beating at the Midnight Bottle Club in Winton Manors, Florida, where he had been refused entry. He’d gone to the club after sneaking onstage at a Santana concert at the Sunrise Musical Theater and being ejected from the premises.